The theme is about the band traveling across the country with putting on a show. The music has a Doors 'Riders on the Storm' feel with positive lyrics. The lyrics are all about the road driving to places in the U.S. on the freeway. The show is on the road. People will come from everywhere to see it.The show is going on the road across the U.S. To Texas in the summer. The show is cruising on the freeway. 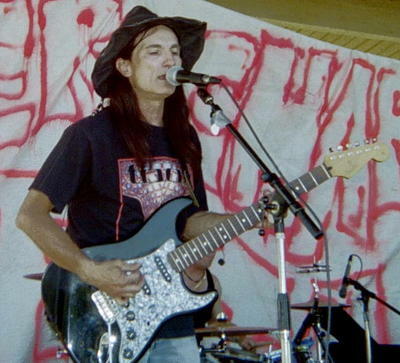 Skinny Bob Barney is lead guitarist of the band Merkin, an authentic classic rock band from the early seventies. "This Show' is from Merkin's reunion 1999 release 'Havin Fun'. Merkin's 1972 album was 'Music From Merkin Manor' on Windi Records, re-released on GearFab.